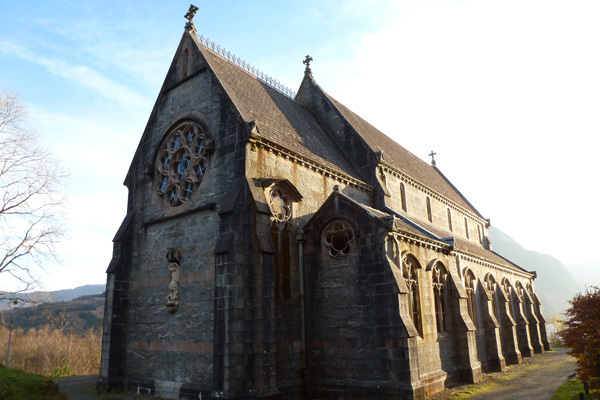 Glenfinnan Church, or St Mary and St Finnan's Catholic Church, is a fine example of Pugin architecture in a stunning historic location high above the shores of Loch Shiel. 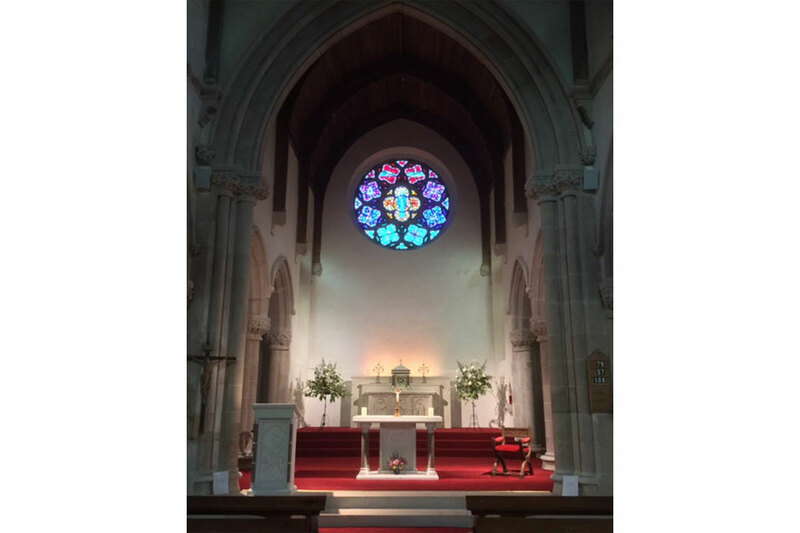 The Church was completed in 1873 having been designed by Edward Welby Pugin in the ' late Early English' Style. 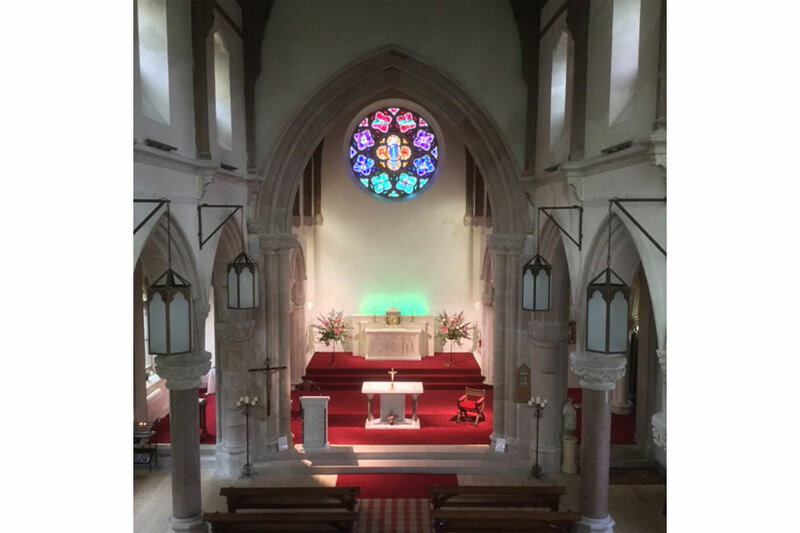 The history of the church and parish is covered by an excellent article on the Glenfinnan Church website. 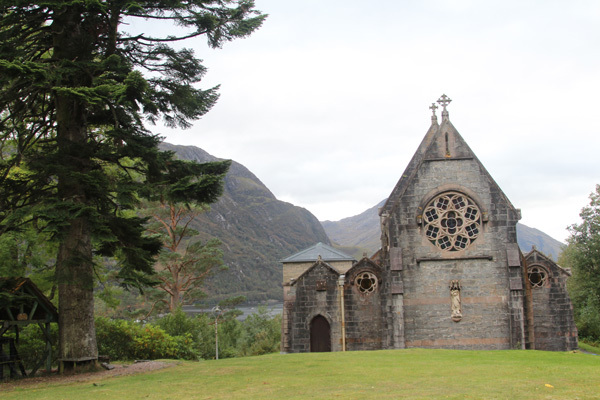 The Glenfinnan Viaduct and Station walk skirts around the southern edge of the church on the shores of Loch Shiel. 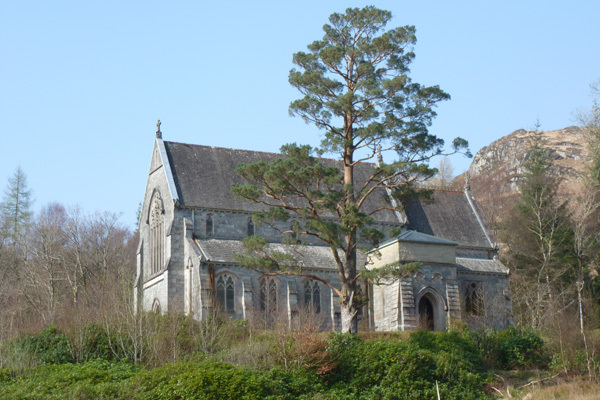 There is parking at the front of the church on the A830 in Glenfinnan near to the National Trust for Scotland Glenfinnan Monument and Visitor Centre.